Down Load Pre Registration Form. 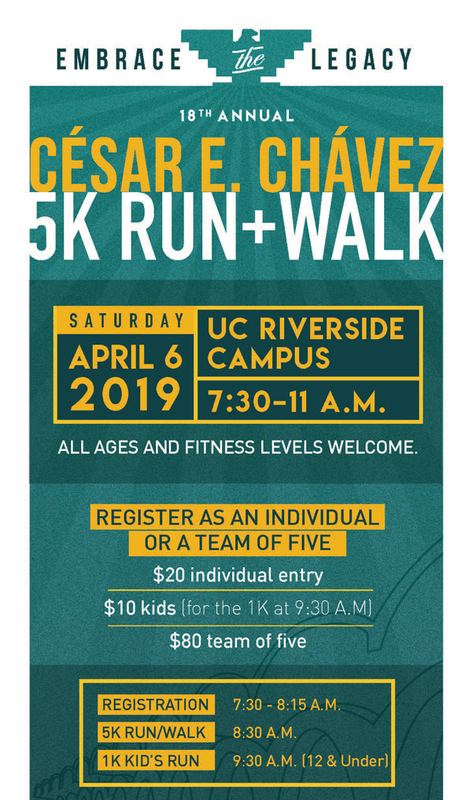 Sign up as an individual or as a team. 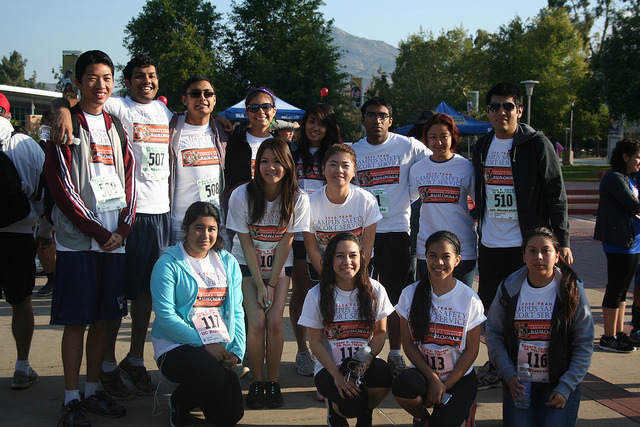 Set a fundraising goal and ask your friends and family to sponsor you in the run or walk. Individuals that turn in $40 in sponsorship or more will have their entry fee waived. 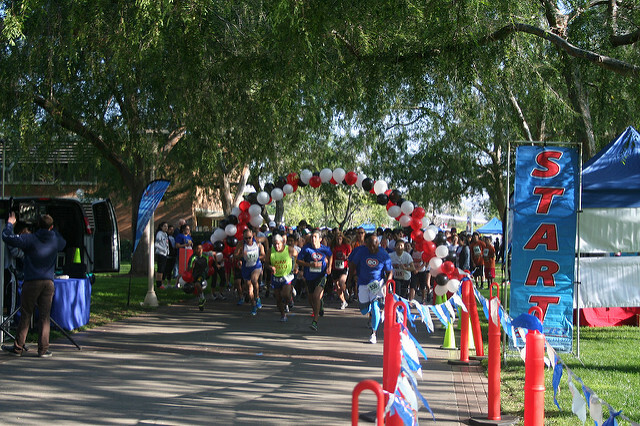 Teams that turn in $150 in sponsorships will have their entry fees waived. 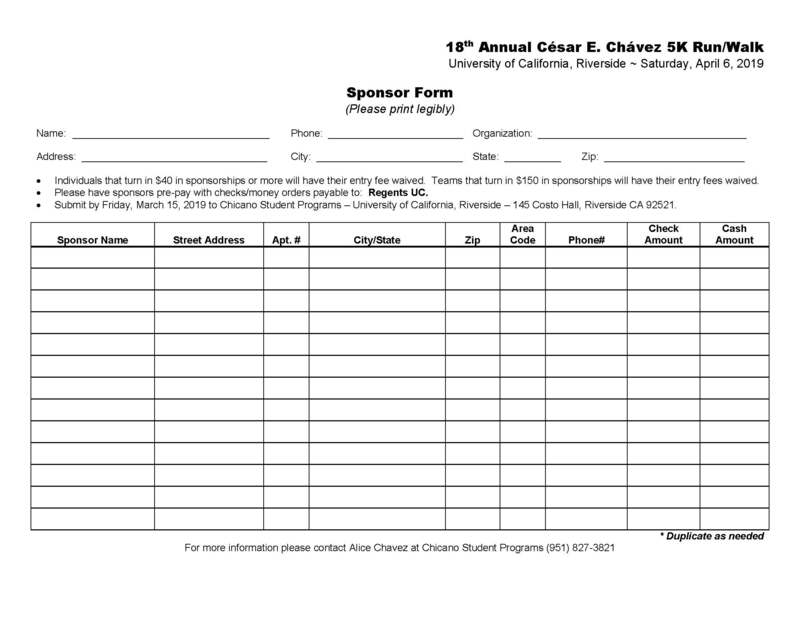 Please have sponsors pre-pay with checks/money orders payable to: Regents UC. 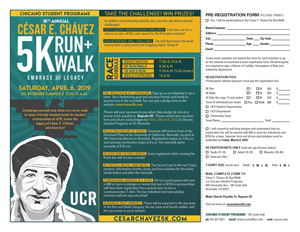 Submit by Friday, March 8 to Chicano Student Programs – University of California, Riverside – 145 Costo Hall, Riverside CA 92521. OR, solicit $150 or more in sponsorship and have team registration fee waived. 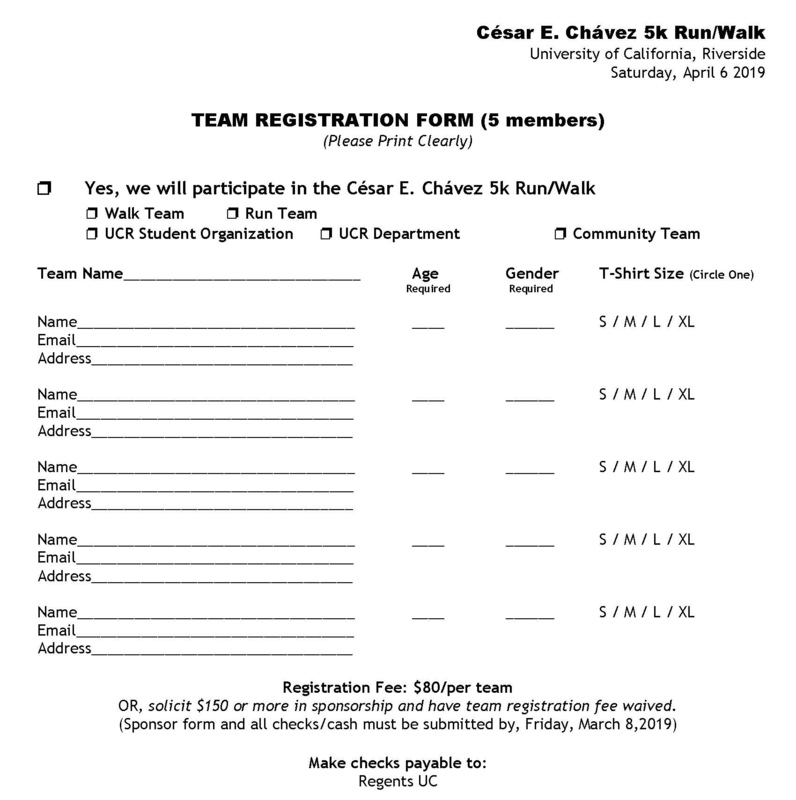 (Sponsor form and all checks/cash must be submitted by, Friday, March 8, 2019.